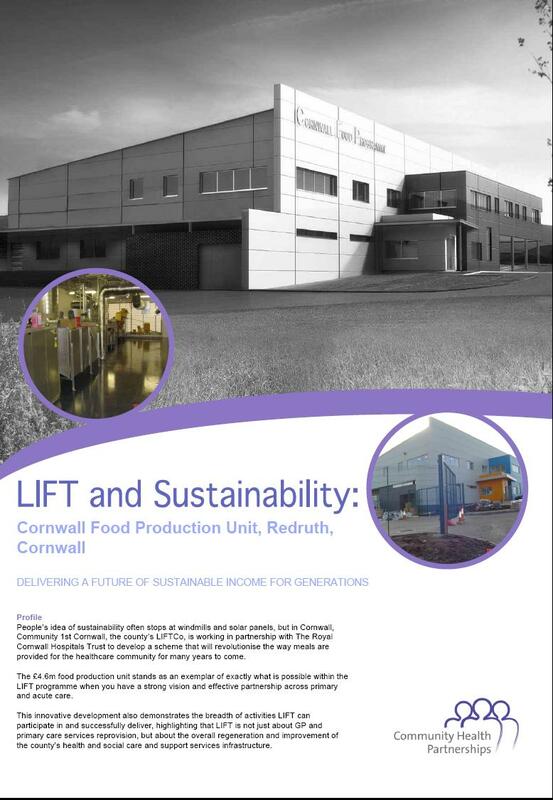 Community Health Partnerships have recently recognised the Cornwall Food Production Unit scheme in their Innovation Programme as a good example of where the LIFT programme can support sustainability. 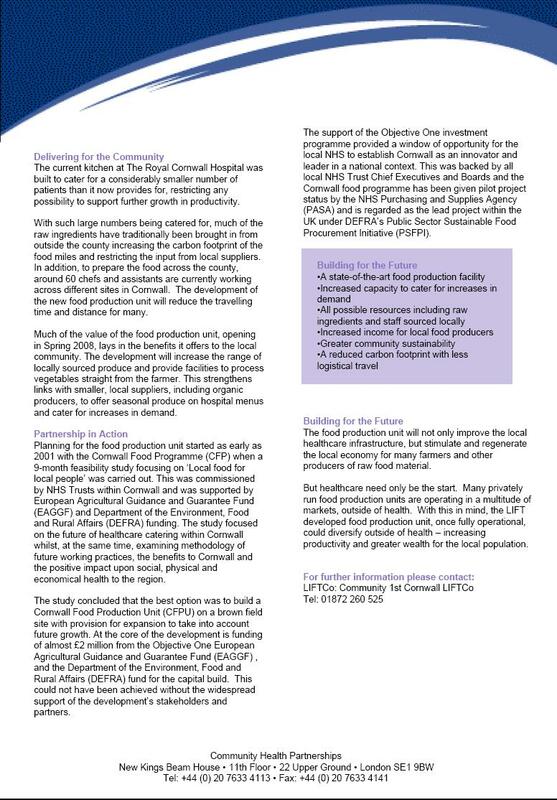 Community Health Partnerships (previously know as Partnerships for Health) represents the Department of Health’s interest in the LIFT programme both nationally and locally in Cornwall through their shareholding in Community 1st Cornwall. Details of the case study are available here.